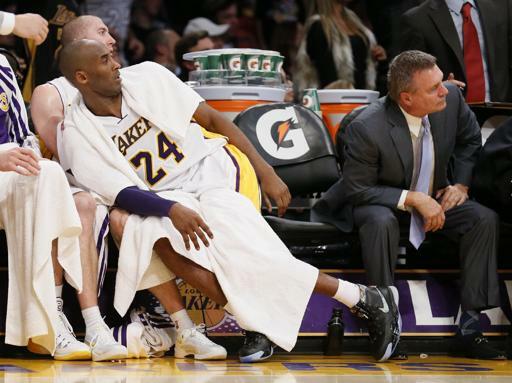 Last night, Kobe Bryant made his long awaited return to the court. 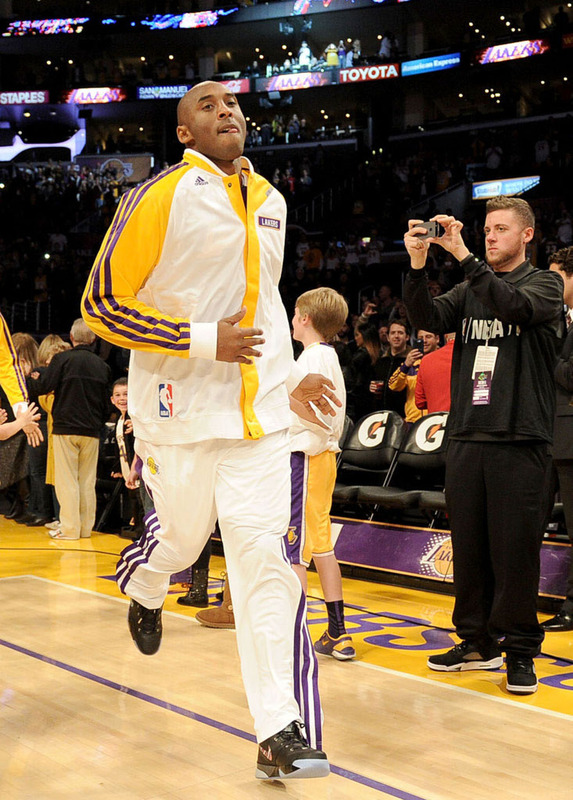 Last night, for the first time since his season-ending Achilles tear suffered last April, Kobe Bryant took the court. 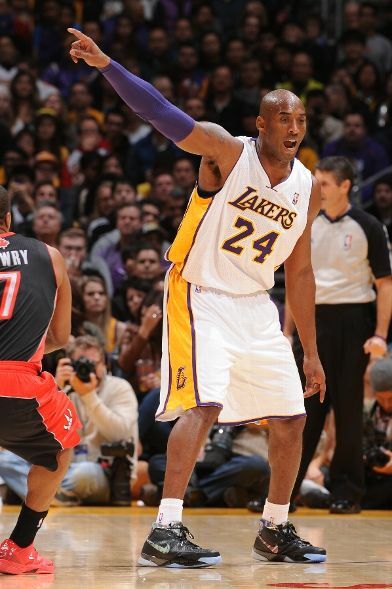 And luckily for Bryant, this is a sneaker site, so rather than dwelling on his 2-9 shooting, 8 turnovers, and the Lakers' 12-point loss to the Raptors, we'll focus on Kobe's comeback footwear. 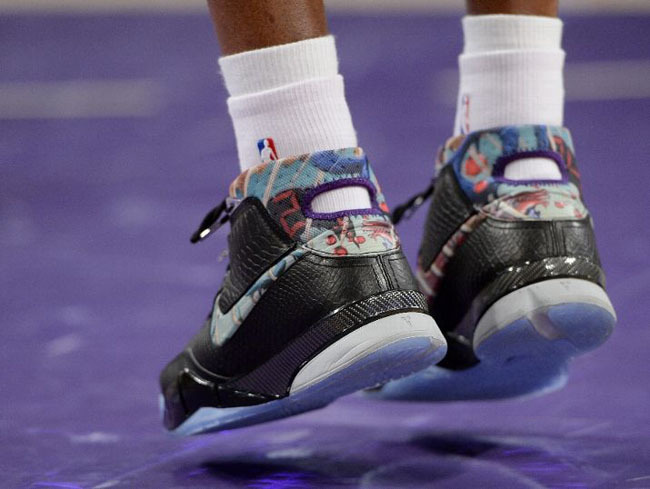 Introduced just last week, Kobe wore the first shoe from his Prelude Pack, for his first game back. 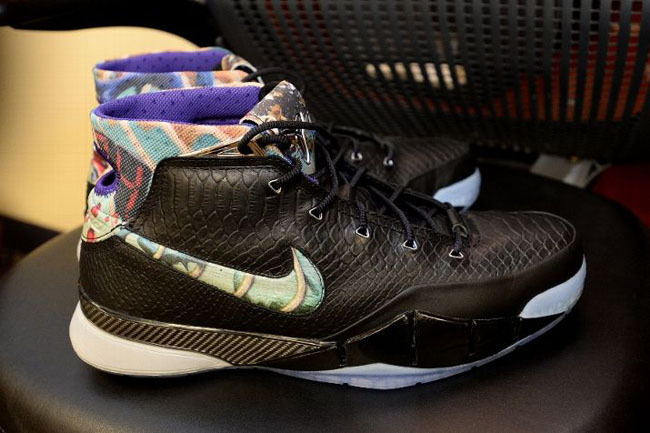 The Kobe Prelude I launched on Saturday, and according to Nike, the surreal theme to the artwork found on it was inspired by "Mamba's surreal scoring." Before you make the obvious joke that Kobe's 9-point night wasn't exactly "surreal," remember that the Kobe I was the same shoe Kobe went for 81 in. 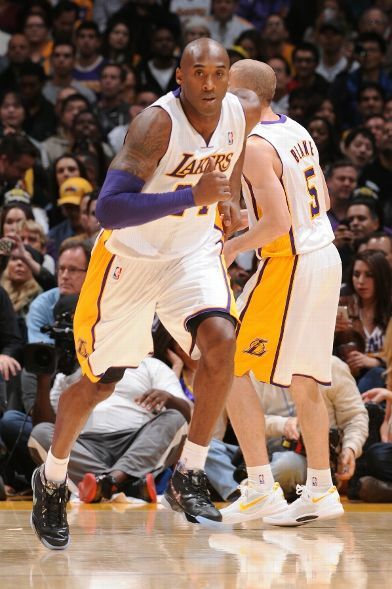 What did you think of Kobe's comeback footwear choice? Were you expecting to see him in the 9 Elite? How did the Prelude 1 look on court? Let us know your thoughts in the comments.